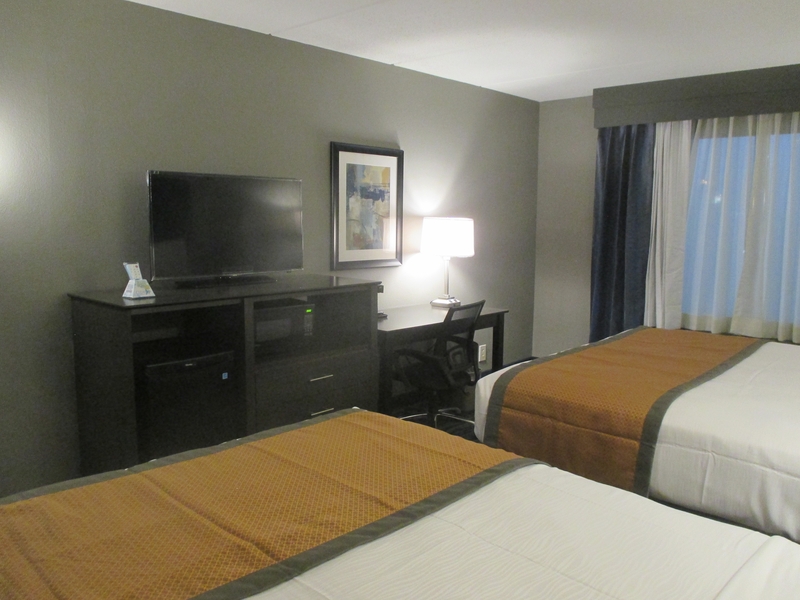 Delight in relaxation and comfort in Best Western Plus’s hotel rooms in Bowling Green, KY. 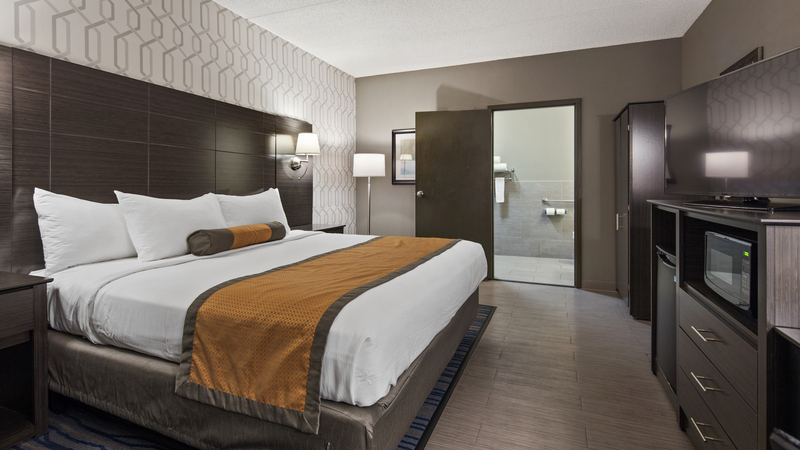 Stretch out and rejuvenate in our spacious accommodations and benefit from numerous hotel amenities geared at making your stay a memorable one. 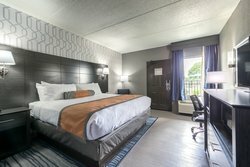 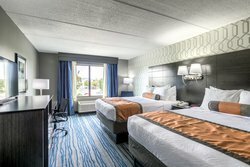 We offer both interior and exterior hotel suites in Bowling Green, KY, featuring versatile accommodation options for you to choose from. 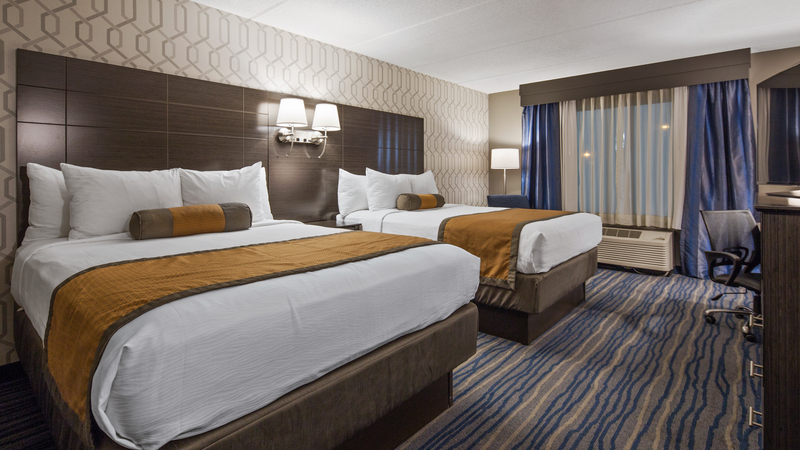 Select from four different room types with diverse bedding options including two queen beds or one king bed. 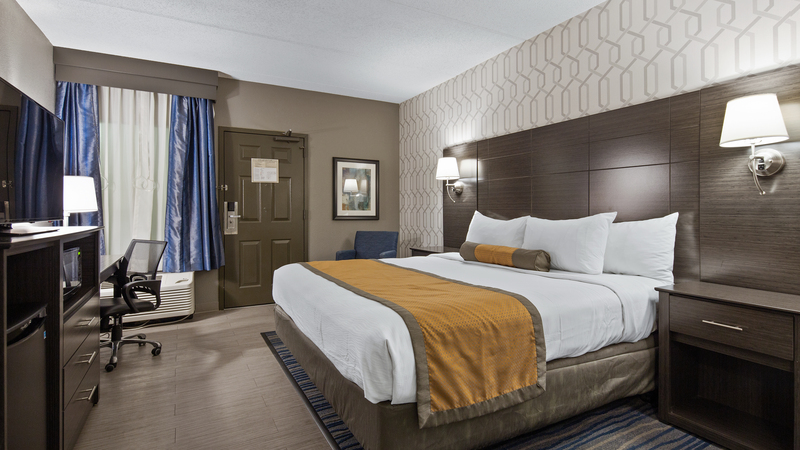 Promising comfort for all of our guests, our lodgings in Bowling Green, KY are outfitted with an array of accessible features. 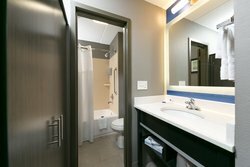 Utilize rails throughout the bathroom, a bathtub seat, raised toilets with grab bars, walk-in showers with safety bars, extra wide doors, lowered vanities, and access ramps. Elevate your stay by selecting this regal 2 Queen Beds Suite. Treat yourself and your travel companions to this enhanced experience with additional space to stretch out and truly make yourself at home in our hotel suites in Bowling Green, KY.
With all of the standard comforts and conveniences of our traditional 1 King Bed room, this accessible hotel room in Bowling Green, KY is equipped with a wealth of accessible features to ensure you have a pleasant stay. Accessible features: bathtub seat, bathroom and shower rails, raised toilet, lowered vanity, extra-wide doors, walk-in showers, and access ramps.